Peace of Mind For Over 30 Years. Ice Damage to Your Gutters? Not Anymore! At Gutter Solutions, we’re dedicated to providing our customers with the top notch rain gutters in Livingston & Bozeman, MT to keep their homes and properties protected from the gradual effects of rain damage. We’ll design an efficient gutter system for you that lasts for years while adding value to your home. Call us today at (406) 222-0846 for a no-obligation gutter estimate! The key is quality gutter products in Livingston & Bozeman, MT! At Gutter Solutions, we Gutter Solutions owners spent years in the rain gutter industry before we discovered the top notch products that solved the problems that other gutter systems and water drainage systems couldn’t. From loose and sagging gutters, to constant leaks and clogs, we weren’t fully satisfied with the performance of available products. That is, until we discovered some amazing new innovations! 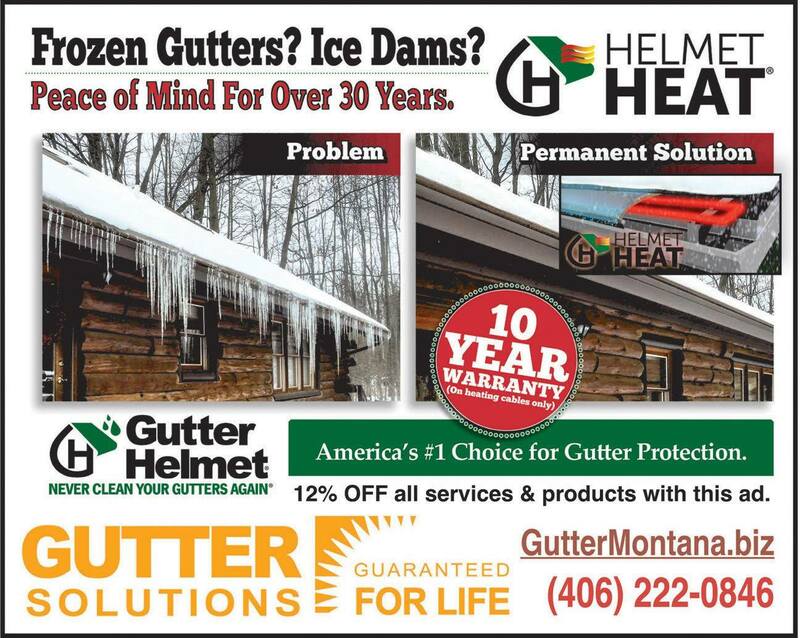 Backed by factory lifetime guarantees, Snaplock and Gutter Helmet are gutter attachments that can stand up to Montana’s harshest winters. Snaplock is a revolutionary attachment that allows a gutter to be free floating, but is still seven times stronger than traditional systems. Meanwhile, Gutter Helmet is a hood that fits over a gutter, guaranteeing you’ll never need to clean your gutters again. Together, these amazing products will give you the best gutters available anywhere. Don’t settle for frustrating gutter products that are more trouble than they’re worth! Call Gutter Solutions at (406) 222-0846 to schedule your no- obligation quote! We do gutter installations in Bozeman, Big Sky, Three Forks, Manhattan, Elgrade, Gardner and Big Timber, Montana! Copyright © 2019 Gutter Solutions, all rights reserved.